With respect to Afghanistan, the United States, Europe, Japan, South Korea and the major international financial institutions are all caught in a time warp. Dating back a century and a half, this distortion today impedes Afghanistan's development as a normal country. No less, it helps isolate the other countries of Central Asia from a nearby major market, the Indian subcontinent and Southeast Asia, and pushes the other countries of Central Asia into a one-sided relationship with their former imperial overlord, Russia. It's time to correct this long-standing mistake. This impact of this time warp is manifest in the refusal of these major countries and financial institutions to acknowledge that Afghanistan is part of Central Asia and not simply a problematic neighbor. This view dates to tsarist Russia's conquest of all Central Asia - but not Afghanistan - in the 1860s. Russia's aims were clear: to preempt Britain from seizing Central Asia north of the Amu Darya River and to gain control of a vast cotton-producing region at a time when Union gunboats had cut off cotton shipments from the American South. However, Russia stopped its southern push at the Amu Darya, which became the southern border of its empire and then of the Soviet Union. In the 1930s Stalin closed the border, imposed Communist development on that part of the region it controlled, and declared Afghanistan a zone of backwardness and poverty. This may have been true by Stalin's era but it had not been true for the preceding three millennia. For all that time Afghanistan was not only a thriving part of what we now call Central Asia but its very heart. It lay astride the route to Central Asia's biggest and closest trading partner, which was India, not China. It was also the avenue by which Buddhism came to all Central Asia and, later, the route by which the Central Asian Babur attacked India and set up the Mughal dynasty there. Here were some of Central Asia's richest cities and here lived some of the world's greatest thinkers. Biruni, who hypothesized the existence of North and South America as inhabited continents half a millennium before Columbus, lived and died in Ghazni, Afghanistan. The poet Rumi and the medical pioneer Avicenna (Ibn Sino) both came from Afghan families. The economic and cultural gulf between Afghanistan and the rest of Central Asia opened as Moscow promoted Communist rule and state-controlled economic development during the Soviet era. Communications and trade had all but ceased generations before Moscow invaded Afghanistan in 1979. The ensuing chaos and civil widened the gulf still further. Following the collapse of the USSR in 1991, Russia recognized the new sovereignties in Central Asia but continued to view them as within Moscow's orbit, as part of what Putin later declared to be Russia's "zone of privileged interest." Russia set up a Commonwealth of Independent States and Collective Security Treaty Organization to translate that concept into reality, and now advances its Eurasian Economic Union with the same goal in mind. Whatever their stated purpose, these initiatives all impinge upon the sovereignty of the former Soviet states of Central Asia. Japan was the first major power to set up regular consultations with the new governments of Central Asia, which it did in 2004. Basing its decision on concern over developments in Afghanistan and on inertia, it embraced Russia's definition of Central Asia and involved only the five former Soviet states. South Korea followed in 2006 but focused its activity on Kazakhstan and Uzbekistan, excluding the other regional countries including Afghanistan. Then in 2007 the European Union set up a consultative structure modeled on Japan's. During the same years the World Bank, Asia Development Bank, European Bank of Reconstruction and Development, and Islamic Development Bank adopted the same now outdated definition of the region and organized themselves in the say way, as did the United Nations. After 9/11 the United States came to realize that Afghanistan and former Soviet Central Asia would benefit from closer interaction. Maybe it was the fact that the U.S. military found itself importing millions of dollars of bottled drinking water to Afghanistan from Switzerland when it could have bought glacier-fed water from nearby Kyrgyzstan at a twentieth the price. Whatever the cause, the State Department combined Central Asia and Afghanistan under a new Central and South Asia Bureau in 2008. Unfortunately, Secretary of State John Kerry, when he set up America's new consultative structure in 2016, reverted to the old Soviet definition of Central Asia and excluded Afghanistan from his "C-Five Plus One" consultative group. The problem is that neither the five formerly Soviet states of Central Asia nor Afghanistan is happy with this setup, and with good reason. Uzbekistan, with help from the Asia Development Bank, has built a railroad into Afghanistan, and is also supplying Kabul with electricity. With millions of ethnic Uzbeks in northern Afghanistan, Tashkent looks forward to expanding trade with that country, to which end its foreign minister has travelled twice in recent months. Kazakhstan's president Nursultan Nazarbayev, speaking at the Astana Club in 2016, stated categorically that "Afghanistan is part of Central Asia and always has been," and pointed to the fact that all six countries of the region share common interests, values, histories and understandings. Besides maintaining an investment office in Kabul, Kazakhstan is rapidly expanding its Afghan links in education, health and agriculture. It is not just the two most prosperous countries of Central Asia that favor closer ties with Afghanistan. Thanks to an initiative spearheaded by the World Bank, delayed developers Kyrgyzstan and Tajikistan are both sending hydroelectric power to Pakistan via Afghanistan. Both view this export of their most valuable commodity as a key source of future income and anticipate its large-scale expansions. Kyrgyzstan also sees itself as a future platform for the development of mining, agriculture and small businesses in Afghanistan. Tajikistan, which shares a common official language with Afghanistan and claims millions of co-nationals there, has embraced its role as a key link in transporting exports from China to Afghanistan. As to officially nonaligned Turkmenistan, its most important strategic project - the export of Turkmen gas to Pakistan and India via the proposed TAPI pipeline - depends fully on close collaboration with Kabul. Once opened, this mega-project will pump billions into the Afghan economy in the form of transit fees and payments in gas. American energy giants Chevron and Exxon-Mobil both sought a leading role in this project but failed when President Barack Obama refused to place the weight of his office behind it. Now the Turkmen have taken the lead, and are as eager as their neighbors to reintegrate Afghanistan with Central Asia. But isn't Afghanistan also the single biggest security threat to all five of these once-Soviet states of Central Asia? Definitely, as they all fully acknowledge in their security doctrines and military practice. But they also see how Russia has manipulated this threat to expand its network of military bases throughout the region and pull its former dependencies back into its orbit. They are stone sober about their security, but have all come to realize that it cannot be achieved without economic development in Afghanistan. They all acknowledge that Afghanistan still poses a serious security challenge but at the same time have come to see that country also as an economic and geopolitical opportunity. It is for this reason that all five of these countries emphatically assert that Afghanistan should henceforth be treated as an essential part of Central Asia. It is well and good that Afghanistan's five northern neighbors seek closer ties with Kabul, but how does the Afghan government view this matter? On this point both president Ashraf Ghani and his former electoral opponent Abdullah Abdullah have repeatedly argued that Afghanistan and its five neighboring Central Asian states constitute a single cultural and historical zone and should now draw closer together politically and economically. Ghani stressed this point repeatedly during recent visits to all the other Central Asian capitals. So how did it happen that Japan, South Korea, the European Union and the United States, as well as international financial institutions, are so out of tune with a region they purport to be aiding? This is not the place to rehash the bureaucratic processes by which all these countries and institutions adopted a backward-looking and counterproductive definition of the region. In each case one can cite practical considerations that justified the decisions at the time. But this does not mean that they should not now change, and bring their structures into line with emerging realities. Specifically, Japan, South Korea, the EU, and the United States should immediately include Afghanistan as a full and equal member of their consultative groups on Central Asia. The World Bank should do so as well, as should the Asia Development Bank, European Bank for Reconstruction and Development, Islamic Development Bank, and the United Nations. How to bring about this change? Since these governmental and intergovernmental entities all created the present situation with scant consultation with those affected, they should feel themselves free to correct past mistakes without engaging in a lengthy consultative process. All the regional governments have long since made clear their positions. Japan, South Korea, the European Union and the United States are in the best position to initiate the change, by recognizing Afghanistan as a full member of their Central Asia consultative processes. The other international institutions will then follow suit. But, one may object, isn't this a tempest in a teapot? How will changing a series of organizational arrangements affect a situation which all agree is characterized by continuing instability that threatens all Central Asia with religious extremism and drug trafficking? Over recent decades several consultative forums, among them the Regional Economic Cooperation Conference on Afghanistan (RECCA) and the Heart of Asia/Istanbul Process, have held useful discussions on Afghanistan's future. Both have come up with useful projects for opening Afghanistan's windows to the world and reengaging the international economy with Afghanistan. But while the former has made progress on such projects as the Lapis Lazuli Corridor connecting Afghanistan with the Caucasus visa Turkmenistan, its main focus is on the much larger region of which Afghanistan is a part, while the latter does not include all Central Asian countries among it fifteen members. What is missing are forums where the Central Asians themselves can discuss their common interests and promote mutual economic interaction. While the developed world rests content with existing forums and consultative groups, the Central Asians themselves - including Afghans - are moving vigorously to create consultative venues of their own. A recent conference convened in Samarkand by Uzbekistan's new president, Shafkat Mirziyoyev, announced plans for a purely regional forum on water, to be held under UN auspices, as well as regular intraregional consultations at the presidential level. In other words, the Central Asians have moved ahead, while Japan, South Korea, the European Union and United States still drag their feet. But this paints too dark a picture. In practice, Japan, South Korea, the EU, and the United States are all coming to take a more regional approach to Central Asia, and one that involves Afghanistan. Japan has supported economic and cultural projects on both sides of the Amu Darya since 2002. And the EU's Central Asia office and the United States recently brought about a Memorandum of Understanding between Siemens Power and Gas, Bayat Power, and the Government of Afghanistan to provide a mobile gas turbine that will, as Bayat's chairman Dr. Ehsanollah Bayat put it, "help kick-start Afghanistan's journey towards energy independence." In other words, all these countries are making progress towards a new Central Asian regionalism that embraces Afghanistan de facto, in spite of the fact that their consultative structures still lag behind reality. The external powers and international organizations should not take such progress for granted. Water remains a prime source of contention within the region. Soviet-era agreements on the use of the region's largest river, the Amu Darya, simply excluded Afghanistan, even though 40 percent of the river's drainage area is in Afghanistan, and even though Afghanistan is alone in being both an upstream and downstream country. Until international actors fully embrace Central Asia as a region that includes Afghanistan, such anomalies will continue and even proliferate. A further reason for the international actors to embrace Afghanistan as part of Central Asia is that that country will be key to any opening of the other Central Asian countries to trade with the Indian subcontinent and Southeast Asia. For now, Soviet-era transport routes still force Uzbekistan to market its lucrative cotton crop mainly through the Baltic - nearly 3,600 kilometers away. By promoting openings to the south, the new, expanded Central Asia will generate economic opportunities for the entire region that do not now exist. The Asian Development Bank knows this, and has taken practical steps to remove some of the impediments to such commerce. However, it, too, is hampered by an internal structure that places some of the countries under one office and others under another. Happily, these problems can be easily addressed if the bureaucratic will to do so exists. Moreover, a bigger window to the south will enable all Central Asian countries - including Afghanistan - to balance economic and geopolitical pressures from Russia or China with contacts with the fast-emerging economies of the Indian subcontinent. Given what we know about the sad state of Russia's economy, the declining number of workers in the Chinese labor force, and the astonishing demographic growth of India, Pakistan, and Bangladesh, this balancing may occur anyway. But why not be proactive and organize ourselves in a way that smooths and facilitates the transition? The proposed change will not diminish Afghanistan's inevitable links with its eastern and western neighbors, Pakistan and Iran. But the proposed reintegration of Afghanistan into a Central Asia that will number some 140 million people will enable it, along with the other five countries, to strike more equitable deals with all neighbors and with economies further afield. Summing up, to embrace Afghanistan as fully a part of Central Asia, not merely as its inconvenient neighbor, is to recognize a reality that has existed through the millennia and is steadily regaining strength today. To acknowledge that Afghanistan is fully a part of Central Asia is not against anyone. It is past time for Japan, South Korea, the European Union, the United States, and all the major international organizations and financial institutions to make this simple but important change. 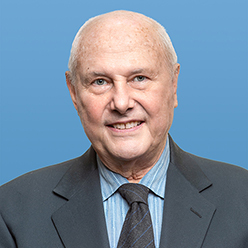 S. Frederick Starr is the founding chairman of the Central Asia-Caucasus Institute and Silk Road Studies Program, a joint transatlantic research and policy center affiliated with the American Foreign Policy Council (AFPC).